We have following inventory of Desktop avaialble. 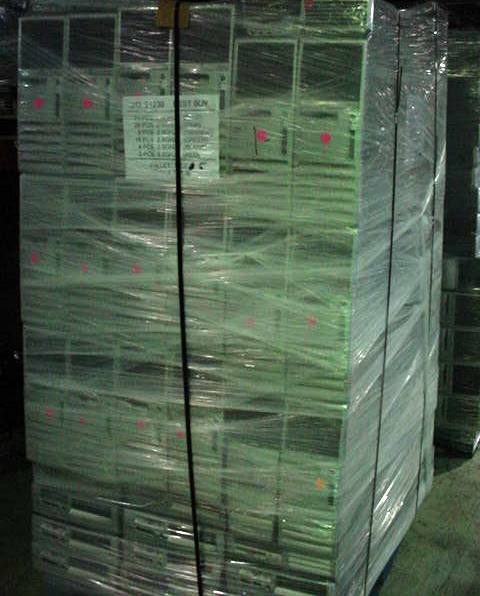 These are on 6 Pallets and ready to be shipped. The configuration is P4, 512MB, 40Gb and majority are 2.8 to 3.00 Ghz. Detailed inventory list available. Great Physical Shape, just a few scratches from normal wear. MUST SENT OFFER VIA EMAIL ONLY.